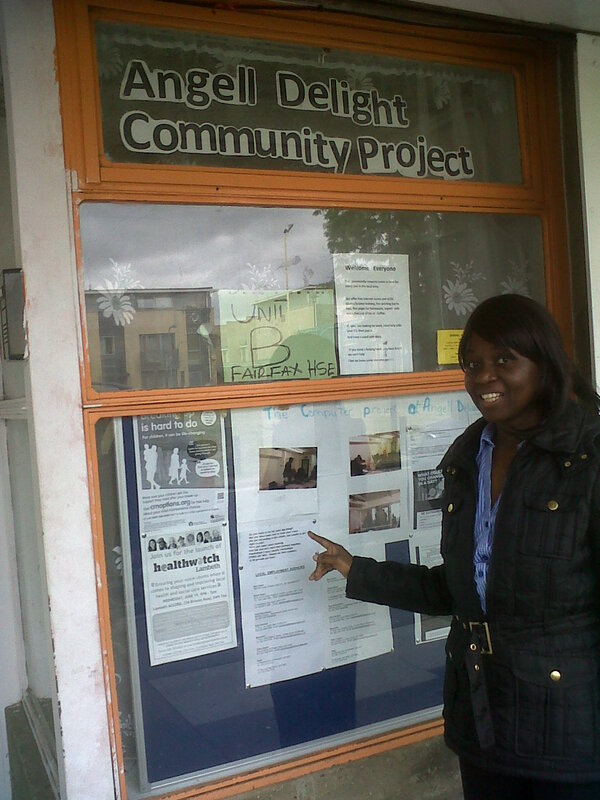 I popped into the Angell Delight Community Project on Angell Town Estate to meet London Creative Labs (LCL) graduate Lynnette Sebuwufu who is been running a ‘Silver Surfers’ project – teaching over 50s (and anyone else) how to use computers and the internet. The Project centre is an ideal venue for the class as it has four computers for use by residents and other amenities too. With a Masters in IT and a strong interest in community engagement, Lynnette has enjoyed running the course on Wednesday mornings from 10am to 1pm. When the project began in November last year it was funded, but that has now ended and Lynnette is looking for more financial support but is managing to keep the lessons going at the moment as she has committed to the project for two years. “I am able to contribute to community cohesion and also get to engage with others as we have a discussion group before each tutorial,” she says. With a small class who are keen to grow their online skills, the sessions have also provided a chance for neighbours and Angell Town residents to meet and have some amazing chats. Class member Doreen said she had gained in confidence after attending the classes and was considering building up her Facebook page. A dedicated teacher, Lynnette pops in on other mornings too, to check if residents need help on the Angell Delight Community Project computers or have technical questions for her. “I think it is better for people to work out their computer problems in this kind of community space where we can help them and not when they are at home alone,” she says. Inspired by her attendance at courses run by Social Business (LCL), Lynnette is keen to keep building on the community structures already in place in Angell Town. She’s inspired by LCL’s Sofia Bustamante who “still pops in when she can” and the organisation’s ethos of: creating the jobs and kind of work that we would want our children to have, discovering better business/other models to generate the jobs and work and helping more people participate in the process. Angell Delight Centre co-ordinator Mary Ekenachi arrived mid-session. A seasoned organiser of numerous community events, she had been one of the key players in identifying residents who would benefit from and be interested in the project. Categories: Action, Angell Town, Community, computer training, Development | Tags: Angell Town Community Project, Angell Town Estate, Community, computer training, Development, live in loughborough junction, Silver Surfers | Permalink. Head to the C.A.F.E at Studio5 209A Coldhabour Lane SW9 8RU (C.A.F.E. is opposite Loughborough Station) if you want to train and develop your arts and craft skills with the intention of becoming self employed. With funding from The London Community Foundation the C.A.F.E will be hosting workshops on Thursdays 18.30-20.30 and some Saturdays 14.00-16.30. Fixed dates to be confirmed. So join Janice Francis and Ray Mahabir for a cup of tea and a bit of cake @ C.A.F.E. tomorrow (on Thursday 20th June) to learn more about this project. Bring an idea that you would like to work on or just go to the C.A.F.E and learn more. On offer 11 free 2hr workshops! 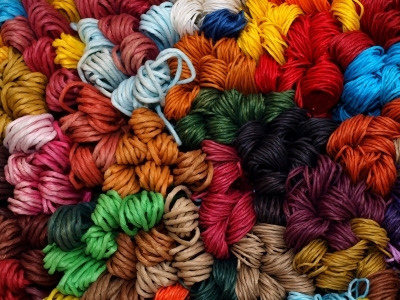 Categories: Arts, Community, Development | Tags: art, arts and crafts, Community, Development, impovement | Permalink. Loughborough Junction: waiting for Waitrose? Loughborough Junction has now got the Tesco store and we’re (still) waiting for Sainsbury’s to arrive – BUT Zoe Williams points out in her interesting Guardian piece, it’s when Waitrose chooses to arrive that you know your area is definitely on the UP. Some things apparently just have to go together, so it is with rising high prices and gentrification and the arrival of Waitrose’s lovely cheese counters and extensive choices. Williams also name checks the arrival of Foxtons – now just down the road from us in the Brixton High Road. Apparently the business is used to their windows being splashed with paint by disgruntled locals and those who fear being priced out of the area. With extensive new-builds going up in Camberwell and Peckham, the surrounding areas are gentrifying without question – but whether the intentions of the Loughborough Junction Action Group among others to lift the area without pricing it out of the current residents’ range will be possible, remains to be seen. Write to loughboroughjunctionblog@gmail.com if you want to blog about this topic or simply add your comment to this article. Are Foxtons and Tesco and other big companies good for Loughborough Junction? Categories: Community, Development, The L J Action Group | Tags: brixton, Development, impovement | Permalink. Greening LJ – this Sunday 8 November!!! There is a plan afoot to green – or perhaps colour – Loughborough Junction next spring by planting bulbs around the place this weekend. Some local businesses have agreed to have their plots bulbed and there are spaces here and there…. To get the bulbs we need donations! Donations of bulbs would be great, but donations of money are also acceptable if you prefer to contribute that way, as we can make a quick visit to a garden centre. If you can provide either bulbs or money, please come to the Cambria this Sunday 8 November 1-2 pm where the gardeners will be there to collect them for planting Sunday afternoon. Volunteers to plant the bulbs are also very welcome, probably best if you bring your own trowel, fork, whatever. Categories: 1, Community, Development, Events | Tags: cambria pub, Development, guerilla gardening, impovement, loughborough junction, regeneration | Permalink. Boris Johnson will be coming to do a ‘people’s question time’ at the Brixton Academy on 9 November. Categories: 1, Community, Crime, Development, Events, Transport | Tags: Boris Johnson, Crime, Development, drugs, local policiing, public transport, regeneration, train station | Permalink. May Poll – Is Loughborough Junction Improving? When we moved here six years ago, friends thought we were crazy, Loughborough Junction was a place to pass through but not stop. It had a reputation which it probably deserved, regardless of this having walked around and seen the sites including the Green Man which was still open, and people smoking weed at the Ruskin park playground, we took the plunge. Why did we move here again? It was quite a shock having moved from Pimlico. “Home James” was a notorious gambling and drug dealing taxi company who supplied the local area including groups of dealers who loitered around on Coldharbour lane, Local prostitutes worked the streets and would just use people’s gardens (including ours). Something had to be done, the community demanded better, an increased police presence, the closure of Home James, the betting shop, a crack down on the street dealers, the closure of a brothel on Coldharbour Lane and the closure of the Warrior, the Green Man and the demolition of a pub on the Herne Hill Road (The Anchor?) all contributed to a sharp turn for the better. Since then Loughborough Junction has in our view got significantly better, none of the above are now an issue. New shops and refurbished housing are replacing the old Loughborough Junction haunts. The area is improving quickly and needs recognising as a valuable location in the centre of Camberwell, Herne Hill and Brixton. Without question Loughborough Junction has further to go but for the time being it is a safe and well serviced neighbourhood. The May Poll recorded 20 Votes – 80% voted Yes and 20% voted No. Why not let us know your experience of Loughborough Junction. Categories: Main | Tags: area, brixton, camberwell, coldharbour lane, Crime, Development, drugs, herne hill, impovement, lambeth, loughborough junction, new, police, regeneration, se5, sw9 | Permalink.